With each day being dedicated to the worship of Goddess Durga, the festival that will commence on 15 October will be held upto 19 October and will conclude with the immersion of the idol of Goddess Durga. Nearly two-hundred-year-old, historic Kali Bari temple at Shimla is all set to wear a festive look with the start of ‘Durga Puja’ from Monday. With each day being dedicated to the worship of Goddess Durga, the festival that will commence on 15 October will be held upto 19 October and will conclude with the immersion of the idol of Goddess Durga, he added. The Kali Bari temple during the ‘Durga Puja’, celebrated with traditional gaiety and fervour, wears a festive look, one akin to the ambience of ‘Durga Puja’ celebrations held in Kolkata, he maintained. Kali Bari Temple trust formed in 1902, is run by the managing committee of Bengali members, he revealed. 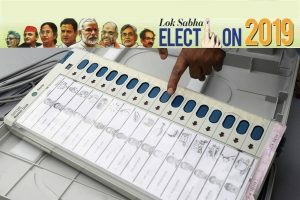 The basic objective of the trust is to maintain and uphold the Bengali traditions, art and culture and to provide a home away from home, for the Bengali devotees who are far from Kolkata due to various reasons, he said. The main celebrations are spread for five consecutive days, with Shashti on day one, followed by Saptami, Ashtami, Navami and Dashmi. Besides the worship of the Goddess Durga, distribution of prasad and cultural programmes each day, other unique features include ‘Darpan Visarjan’, ‘Sindoor Khela’ and dance by Bengali women on the beat of drums by Dakhis (drum players) from Kolkata which is an important part of ‘Durga Puja’, he added. 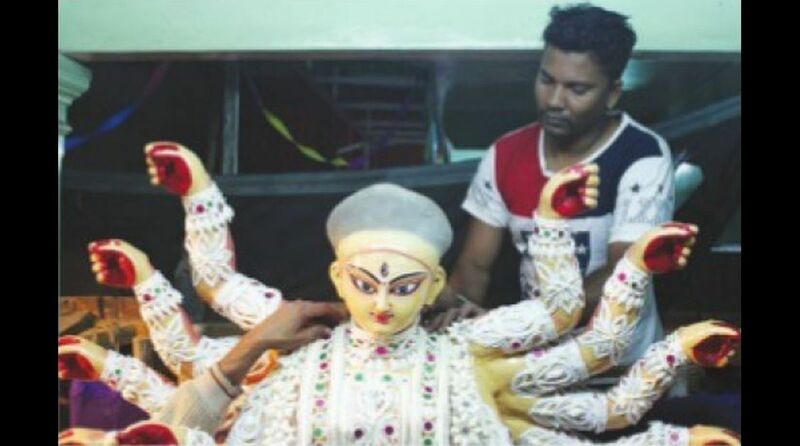 The idol of Goddess Durga that will be worshipped before immersion into the water near Tara Devi on Dashmi, has been prepared by a team, especially having come from Kolkata, he said, adding that even the 108 lotus flowers required during the ‘Sandi puja’ on Ashtami is also being brought from Kolkata. Apart from ‘Durga Puja’ particularly held during this period, all other Bengali festivals throughout the year are also celebrated at the Kali Bari temple that include Kali Puja, Saraswati Puja, Dhol jatra, Janamashtmi. Pramanik informed that Kali Bari Temple original shrine was established in 1823, by the Bengali surveyors who had accompanied the Englishmen to survey the place to make Shimla, their summer capital during the era of British Raj in India. “According to legend, during the survey two stones that were then revered by the people were rolled down by the Jakhoo hill. The Brit heading the survey was continuously haunted by Goddess Kali in his dreams,” he said, adding that consequently, he consulted the Bengali surveyors who suggested him to shift the stones to the present temple that was once a cave where a saint used to worship Goddess Kali. Once it was done he was liberated from being troubled by the Goddess in his dreams.